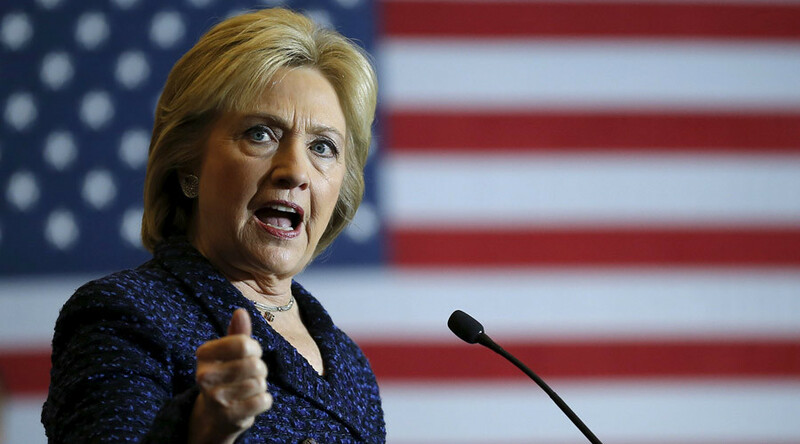 People on both sides of the political aisle in the United States are concerned that Democratic hopeful for the US presidency, Hillary Clinton, may have one too many personality flaws to serve as the next commander-in-chief. In an interview with RT, Vox News investigative journalist Harry Stuckey describes Clinton’s foreign policy outlook as “far more dangerous than Barack Obama and even George Bush” because she has something to prove being the first possible female to serve in the White House. According to the journalist, Clinton’s stance on Syria, Russia and Iran are much more hawkish as compared to Obama’s. “There was restraint on his part when push came to shove came on Syria, he didn’t go that far," Stucky said. For example, despite a UN report that failed to indicate responsibility for the chemical attack, the former secretary of the state continued to push the narrative that Syrian President Bashar Assad was responsible for gassing his own people in Ghouta in 2013. Furthermore, in 2002 Clinton supported George Bush's plan to invade the sovereign state of Iraq, saying that it would benefit US security. She is riding on the coattails of her husband [former US President Bill Clinton] and so she’s got to sort of overcompensate and prove she has got more testosterone than the boys. Stuckey also mentioned the former First Lady’s positions on Russia and Iran. 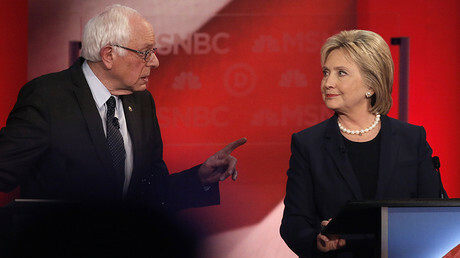 In a recent debate with Bernie Sanders, her Democratic contender for the 2016 presidential race, Clinton called Russia the “greatest threat” to the US. “We have to send a very clear message to Putin that this kind of belligerence, that this kind of testing of boundaries will have to be responded to. The best way to do that is to put more armor in, put more money from the Europeans in so they're actually contributing more to their own defense,” Clinton said. With regard to Iran, Clinton supports Obama’s nuclear agreement with Iran, whereas some leading Republicans are advocating to completely over turn it once they are back in power. “It was a deal that was hanging over them and that she’ll bomb them into oblivion if they step out of line. It doesn’t feel like there is a very much of a partnership in this deal,” the journalist added. “If you listen to the mainstream media, they are all trumpeting the same thing she’s saying: ‘Oh well yeah, she’s the one, who gets things done,’” he continued. Speaking about mainstream media coverage of the prospective nominees, Stucky believes it is rather biased in favor of Clinton and this has a strong effect on the views of voters, adding that the media is promoting the idea that Bernie Sanders is not electable. “Even after the polls say that if he were to go up against Trump, he would win, she would lose,” Stucky told RT.